Between 1964 and 1970 there were five movies the Beatles starred in. Four of them received a cinema release and one was made for television. You can find all of these movies, as well as films about the Beatles lives, and more, in our online store. 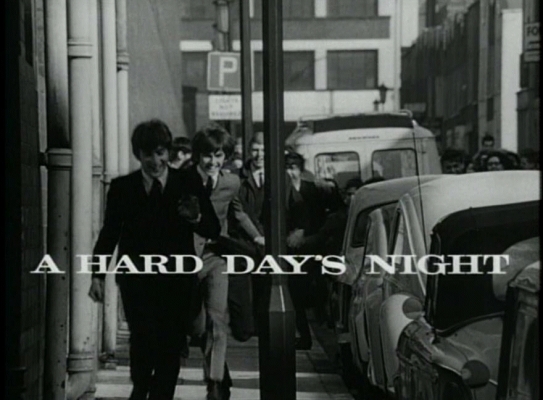 Though it was no new concept for popular musical groups to star in their own films, A Hard Day's Night may possibly stand alone as being the most famous rock 'n' roll picture ever made. And it was no question that it would be a hit, having been made during the height of the mania surrounding the Beatles. It is likely it would have been a success, at least at the time, even if they'd just been filmed standing around smoking cigarettes. As it happens, the plot of the film was a day in the life of the Beatles, which was the cleverest thing they could have done for a plot, as it satirized the craziness that surrounded them at the time, screaming fans and all. George Harrison met his first wife, who played one of those crazed fans, while working on the film. Even today, A Hard Days Night still seems as fresh and hilarious as ever. Wilfred Brambell - "Paul's Grandfather"
Victor Spinetti - "T.V. Director"
Derek Guyler - "Police Inspector"
Richard Vernon - "Man on Train"
David Janson - "Charlie - Young boy Ringo befriends"
Edward Malin - "Hotel Waiter"
Lionel Blair - "T.V. Choreographer"
Robin Ray - "T.V. Floor Manager"
The Beatles second feature film was filmed in a "haze of Marijuana" according to Paul McCartney. Indeed, it took several takes to get a scene right due to the Beatles' frequent fits of giggles. Richard Lester was also increasingly annoyed by Paul's tinkering with a song that he was writing on a conveniently placed piano. "If I hear that once more I'll have that bloody piano taken away! What's it called, anyway?" Lester fumed one day "Scrambled Eggs" Paul replied. Help! had a plot line that centred around Ringo, due to his acting in A Hard Day's Night being roundly praised. Ringo had been sent a ring by a fan who was mixed up in an Eastern cult. Apparently, however, the girl cannot be sacrificed to the dreaded "Khali" without the ring, so Clang and his minions, including the lovely Ahme, leave for London to get Ringo. From there, chaos erupts with the Beatles being chased all over the world by the cult leaders, two mad scientists, and Scotland Yard. Victor Spinetti - "Professor Foot"
Patrick Cargill - "Superindendant Gluck of Scotland Yard"
Alfie Bass - "Doorman at Indian Restaurant"
While the first two movies were more typical rock 'n' roll pictures, Magical Mystery Tour was not something other popular musical groups had ever done. The concept for this film was conceived by Paul McCartney during a trip to the United States in early 1967. On the plane back he'd simply drawn a circle. There was no script; the band simply hired a bus, had it painted in a lot of colours, and had the words "Magical Mystery Tour" emblazoned on the sides. They hired a load of weird and wonderful characters and jobbing actors and told them to "be on the coach on Monday morning." When the day rolled around, they set off for the West country to film whatever happened along the way. Unconventional, but wonderful. 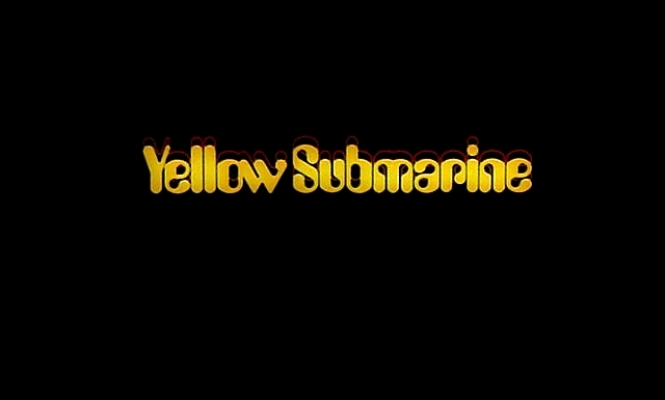 Yellow Submarine was an animated film that had (barely) the Beatles' cooperation. They contributed five new songs for the film (all the others, including the title track were already years old) and agreed to a live cameo at the end, which was filmed in January, 1968 just before their trip to India. Other than that, United Artists & King Feature Syndicate were on their own. The film was partly inspired by their 1967 album, Sgt. Pepper's Lonely Hearts Club Band, and of course, the song 'Yellow Submarine' itself. The voice cast was made up of other actors rather than the Beatles themselves and the critical reception upon it's release was favourable. As a result, this film is usually how children today are introduced to the Beatles. Let It Be was filmed at a critical moment in Beatle history. This film was the last of the movies the Beatles starred in together, although they are barely shown together in the film. The Beatles are trying to get it together to make an album but what actually ended up on film was the groups disillusionment with each other. Paul's constant attempts to pull them all together are met with barely restrained contempt and Yoko's ever-present hovering at John's side casts a tense atmosphere over the group. Though this is a feature film in the same way A Hard Day's Night and Help! had been, this movie is more of the start of films about the Beatles, in that they're "playing" themselves, rather than characters. 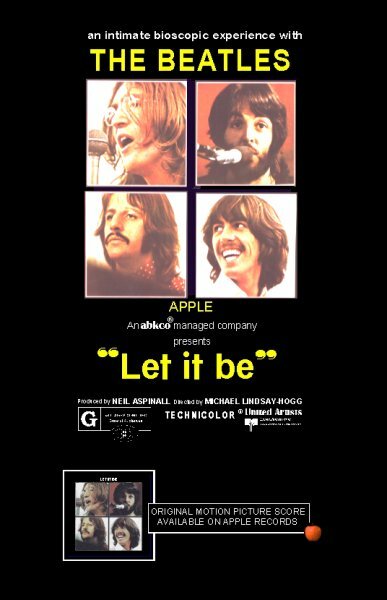 When it comes down to it, Let it Be is really a documentary showing the break-up of the Beatles after 10 years of living, traveling, and working together. Where can i get this film ? Which one? Either way, you can get thme almost any place that sells a lot of movies, like Barnes and Noble or Best Buy. Walmart, Amazon, and Ebay all have lots of them online.